Michael Grace, who conceived the idea for the convention, says his interest in the banjo predated The Beverly Hillbillies hit and came from a different line than George Formby’s novelty songs. 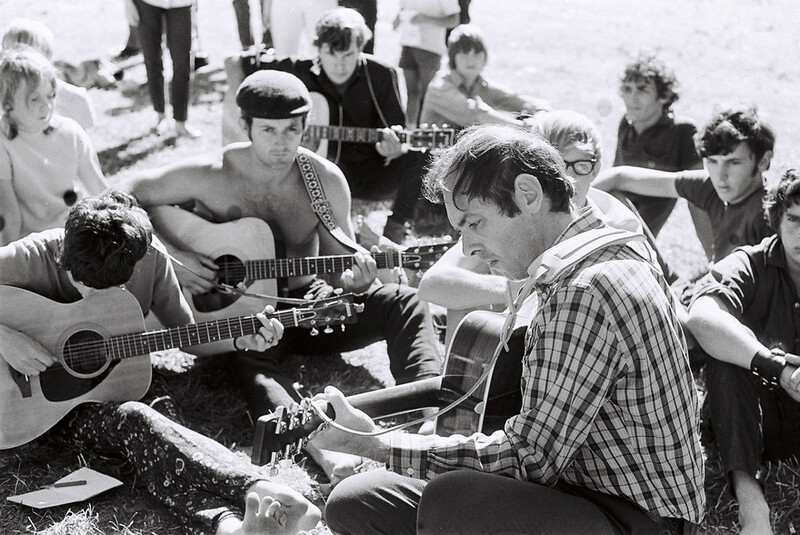 The folk movement of the 1950s celebrated a long line of music making by the people that began in the 1700s with the Irish and Scottish immigrants to the US. 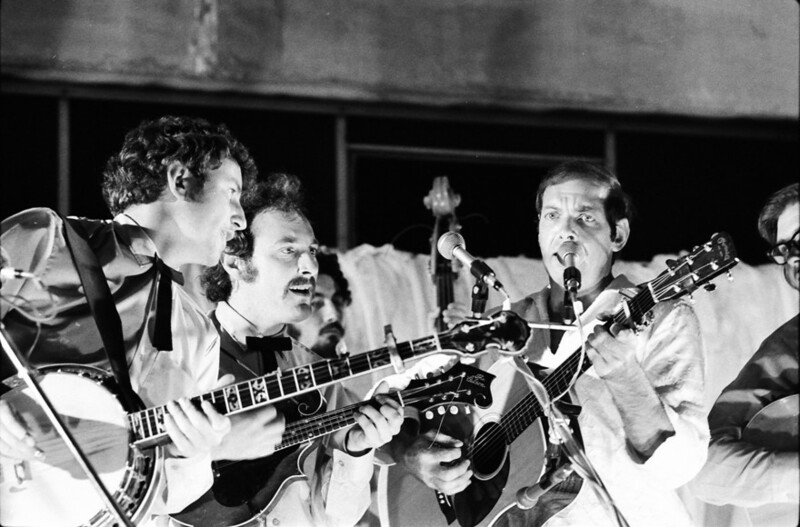 In the wake of The Weavers’ success in the 1950s – followed by The Kingston Trio with its "simplistic" technique – folk clubs were thriving around the world. 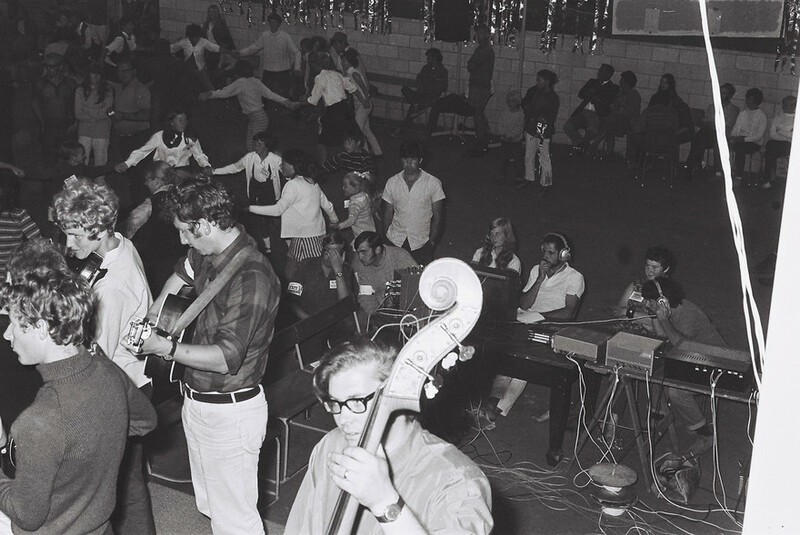 New Zealand was no different: folk clubs were thriving. 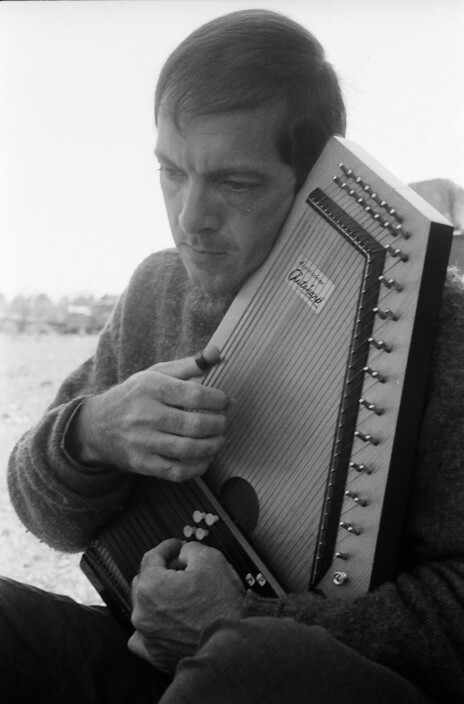 Folk music and the peace movement were bedfellows, and regarded as left wing enough that, says Grace, the Customs Department could take an interest in the importation of a Pete Seeger banjo manual. 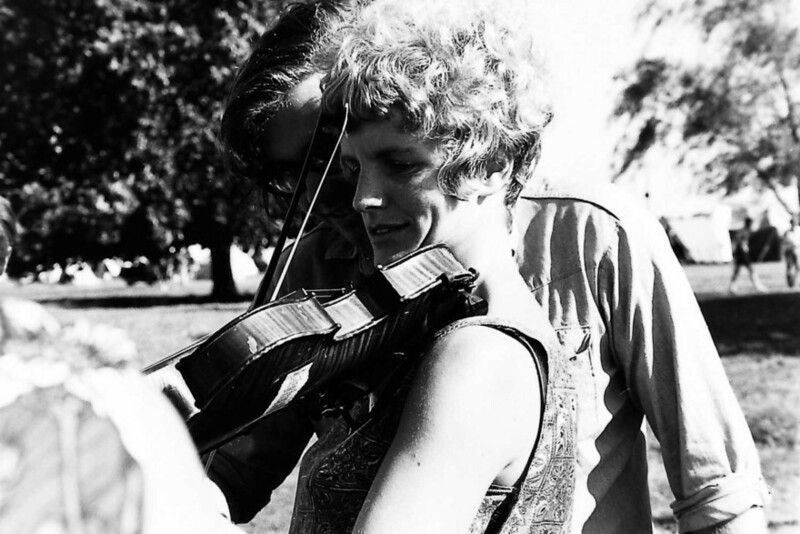 While The Hamilton County Bluegrass Band was already nationally famous, and a star was the old time banjoist Jim Higgott, who had been performing in Auckland since the 1920s, it was the grassroots music-making that many attendees took away as their most memorable moments. 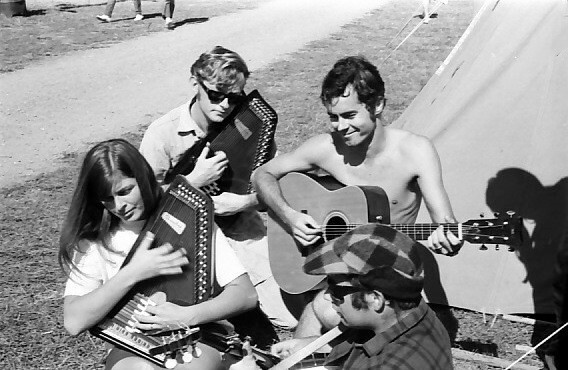 At the tent-town Scruggsville – temporary home to 500 people under canvas – Young said it was not “considered impolite to just wander into a tent if you liked the music emanating from within, but once inside you were expected to join in with whatever instrument you had with you. 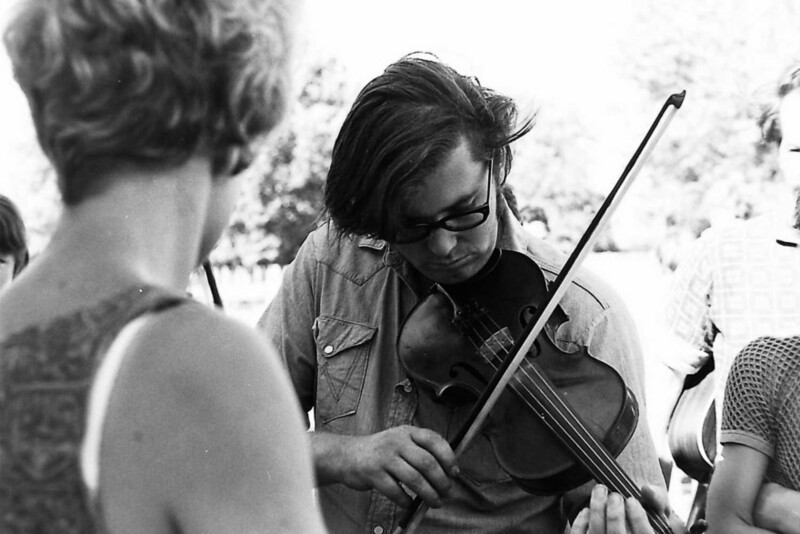 At the 1968 convention the erratic weather meant that musicians carried their instruments with them at all times, as one rainstorm moved off “only to make room for the next one a few minutes later”. After a dinner of sausages, peas and potatoes, the first concert began on Good Friday at 7pm and didn’t finish until seven hours later. Those who lasted the distance heard samples of just about every facet of folk music from wailing blues through country music to the beautiful close harmonies of unaccompanied English ballads. 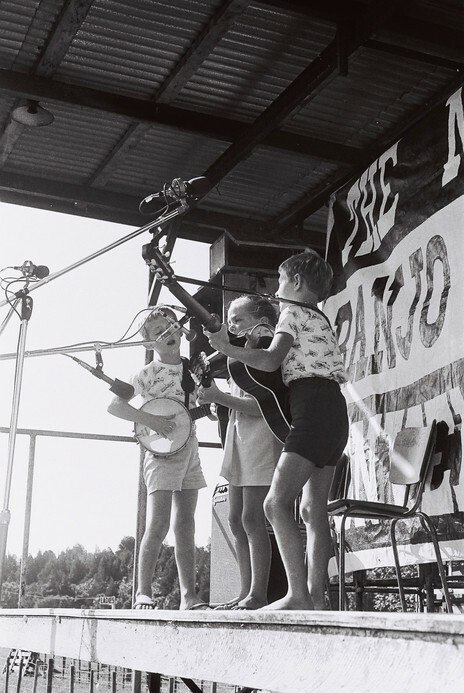 In 1968, alongside the purists earnestly replicating the sounds of rural Kentucky and Appalachia – and performing material by The Carter Family, Bill Monroe, plus children’s songs – were outfits such as The Mad Dog Jug Jook and Washboard Band performing ‘High and Dry’, and the George Wilder Rehabilitation Society Bush Band playing not novelties but traditional New Zealand songs such as ‘I’m Packing Up My Things To Go Home’. 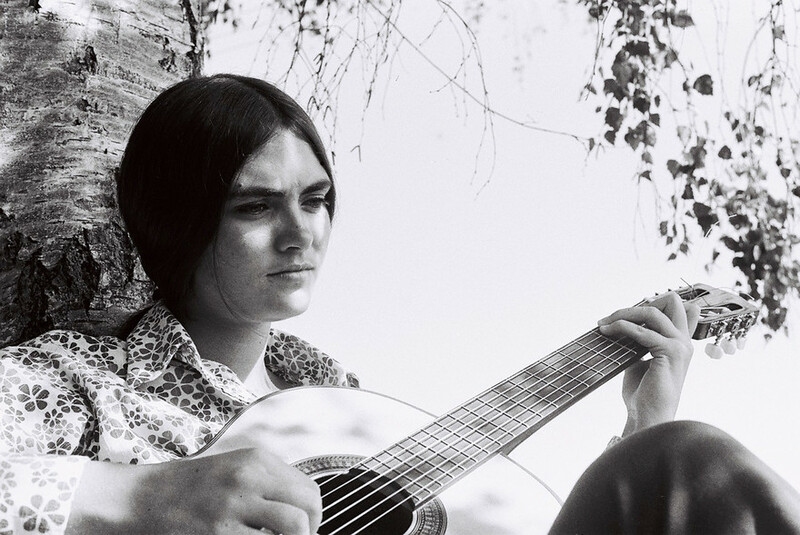 By 1970 the repertoire also included the Beatles’ ‘Rocky Raccoon’, performed by Steve Robinson, whose group “The Tamberlain” also performed contemporary folk pop such as ‘There’s Something Wrong’ (James Taylor) and ‘The Only Living Boy in New York’ (Paul Simon). 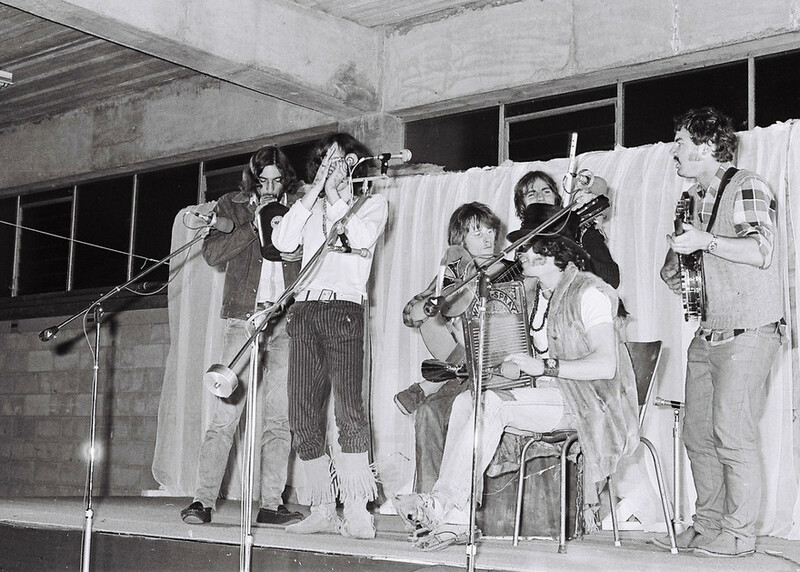 Marion Arts, later of the Red Hot Peppers, sang Dylan’s ‘It Ain’t Me Babe’ backed by the Hamilton County Bluegrass Band, and Stoney Lonesome closed the final concert with Creedence Clearwater Revival’s ‘Proud Mary’. 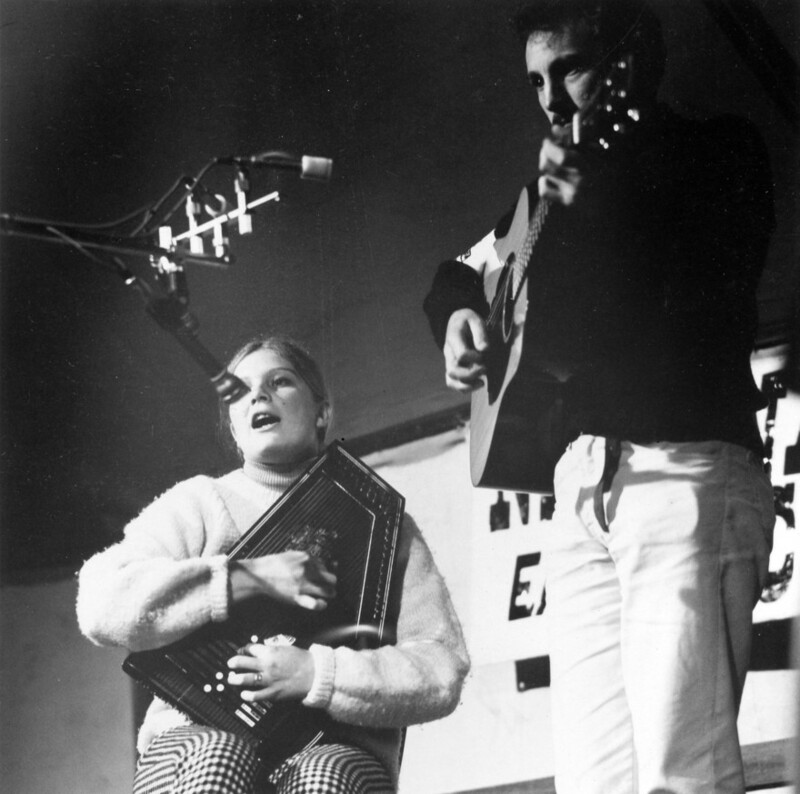 After four conventions, the event was a victim of its own success, suggested founder and organiser Michael Grace, who announced there would be no more in the February 1971 issue of folk magazine Heritage. The aims that Grace, with Paul Trenwith and Alan Rhodes, had sketched out “one summer evening in late 1966” had been “achieved and surpassed”. 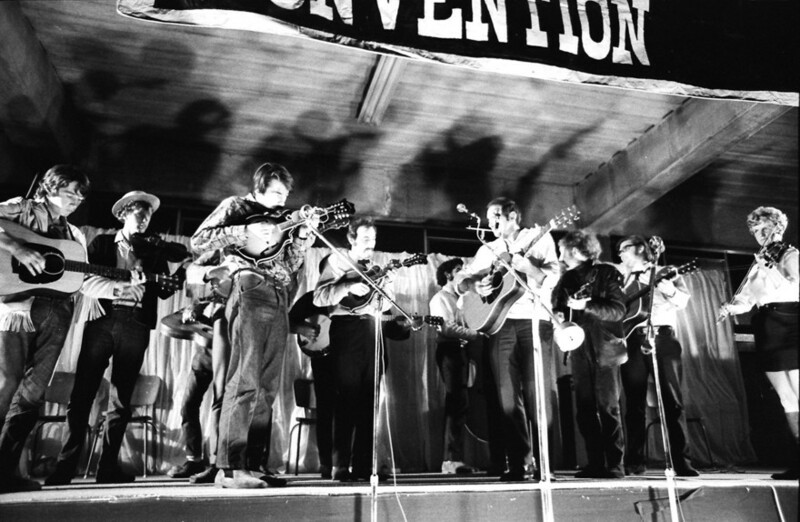 Part of the problem was that the success of the first convention in 1967 – which cost $200 to organise – led to the inclusion of guest artists from overseas. This increased costs and ticket prices: the convention of 1969 cost over $4000 to put on. After limiting registrations to the 1970 convention – which Grace believed was the most successful of them all – the event lost money and had to tap into its reserves from earlier years’ profits. 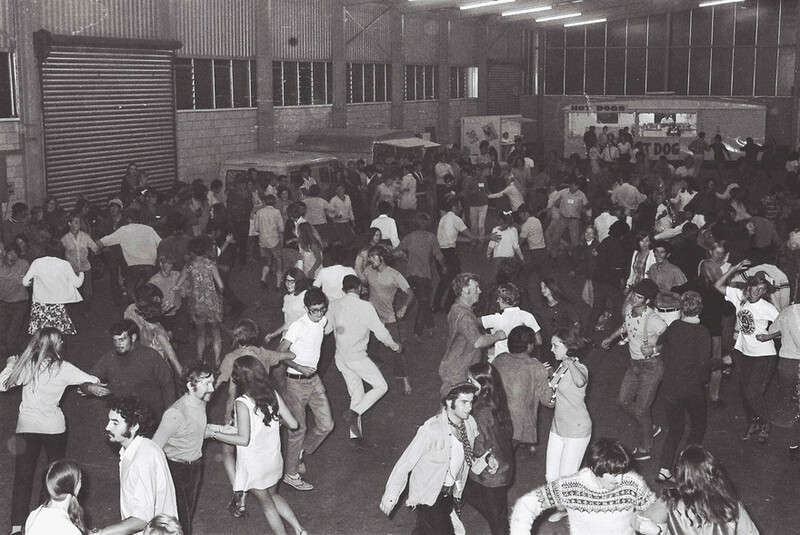 The legacy of the festival can be seen in the many recordings that New Zealand acts made after appearing on the Te Rapa stages, including the three LPs of highlights that Kiwi released of the 1968, 1969, and 1970 conventions. The Hamilton County Bluegrass Band became national heroes – helped by one-channel television and Country Touch. Jim Higgott enjoyed a late-career burst at Auckland’s Poles Apart folk club. Max Winnie displayed his prowess at blues and folk at Wellington’s Monde Marie. Tamburlaine and Stoney Lonesome made accomplished albums. Who knows what became of the children who took to the outdoor stage to show their finger pickin’ skills? 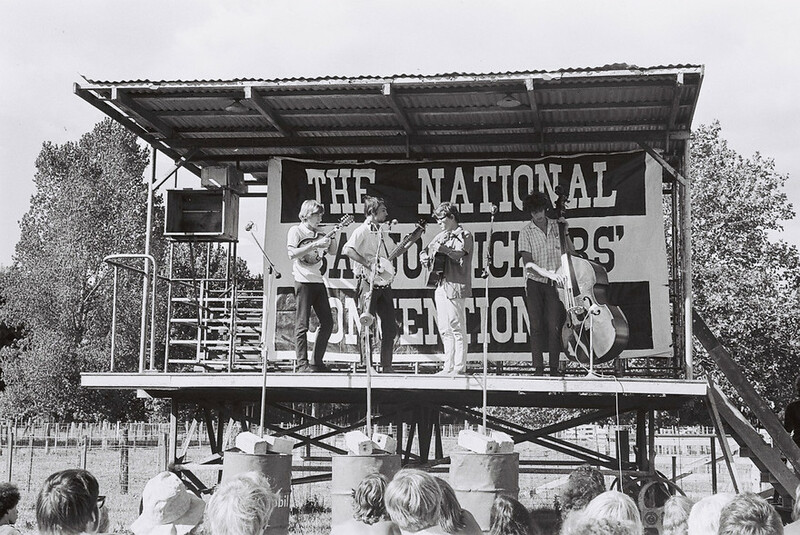 A flyer for the 1968 National Banjo Pickers’ Convention. 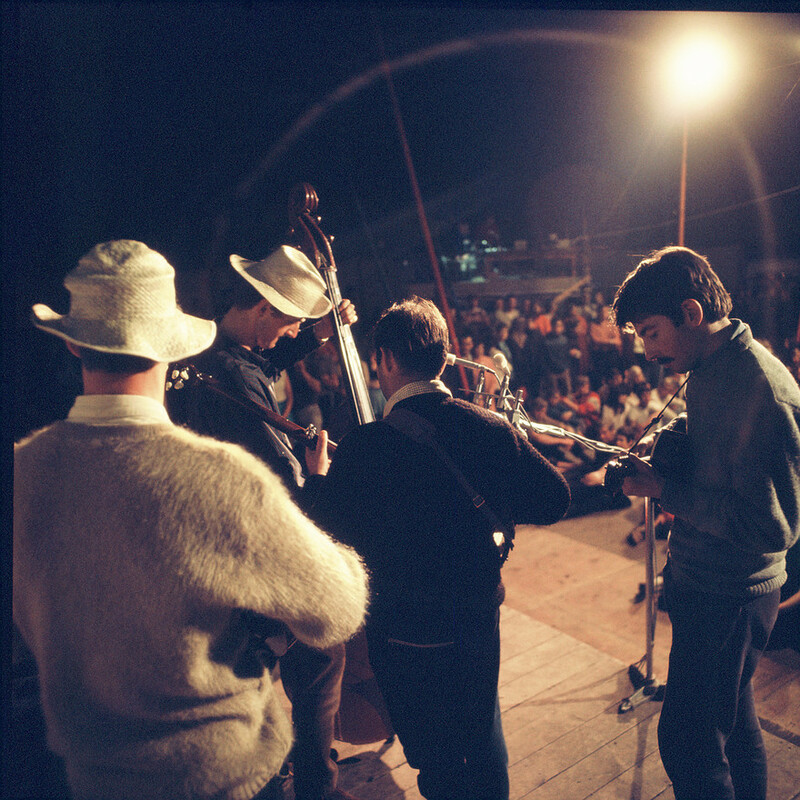 Watch: Keep On the Sunny Side – an award-winning documentary about the 1970 National Banjo Pickers’ Convention.